Last summer we ran away from home, up the coast, to La Purisima Mission in the area of Lompoc, California. It’s a small town with a wonderful secularized California Mission, La Purisima, restored by the state during the Depression. It has gardens, outbuildings, a wonderful historical center, and is a lovely place to walk around on a sunny day. I took my camera with me, and today’s painting is based upon the photograph below. 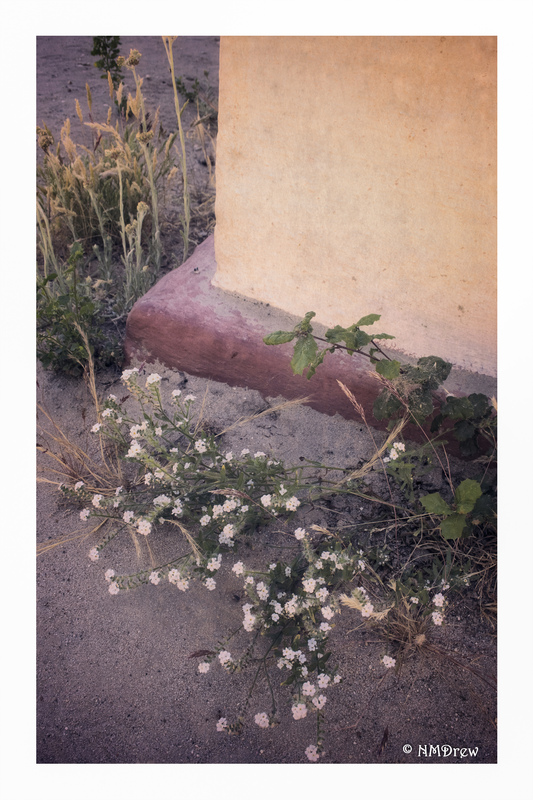 This little patch of weeds is located on the backside of the mission, and I found it so charming. The weeds are typical California plants – hardy, drought resistant, resinous. 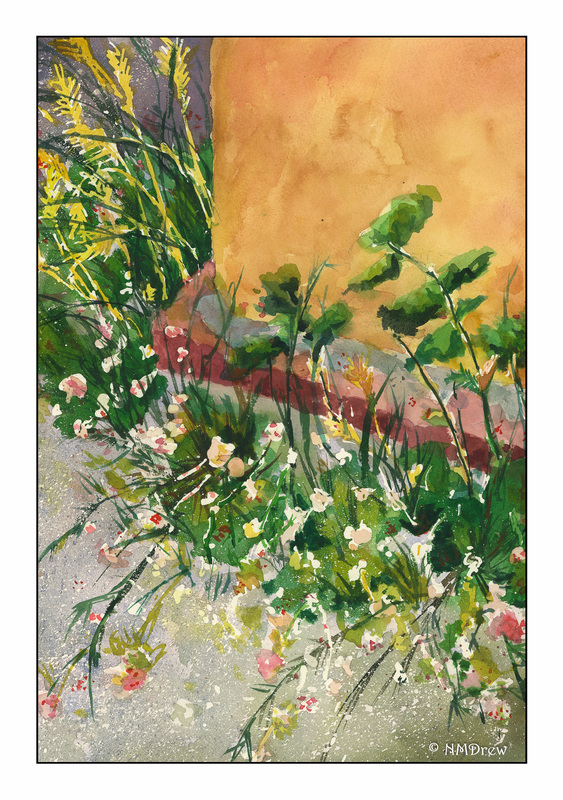 Grasses and flowers. Furry leaves. All these help keep the plants from drying out in the relentless sun and low humidity. I am not really sure if I caught what I wanted to do with this photograph, but I am pleased enough to put my name on the scan I used a lot of the techniques I learned from Rick Surowicz’s Fall Lake video. Putting on the frisket was scary. I was so unsure about it, but knowing the only way to learn was to do, I did! Blobs, lines, sprinkles and splatters of frisket. Paint. Paint some more. Finally I arrived at a point where I just didn’t think I could go any further, and it is at this point I stopped. And then removed the frisket. More paint added here and there, lines, whatever. The final result is below.